Current: ASL/LSQ Recognition Awareness Day at the Capital! 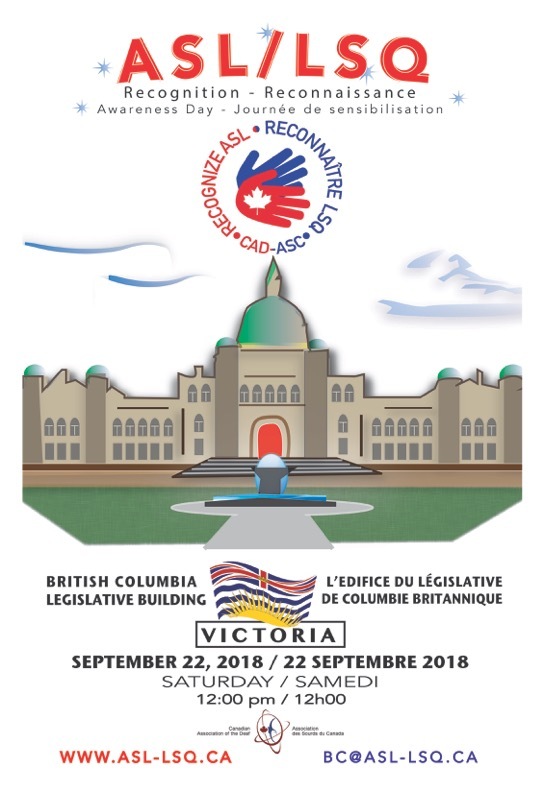 On September 22nd 2018, there will be a ASL/LSQ recognition day at the Capital Building in downtown Victoria. Click here to visit the organizer’s website!